One first thing is to make sure related posts are enabled for the post type you want to add them to. 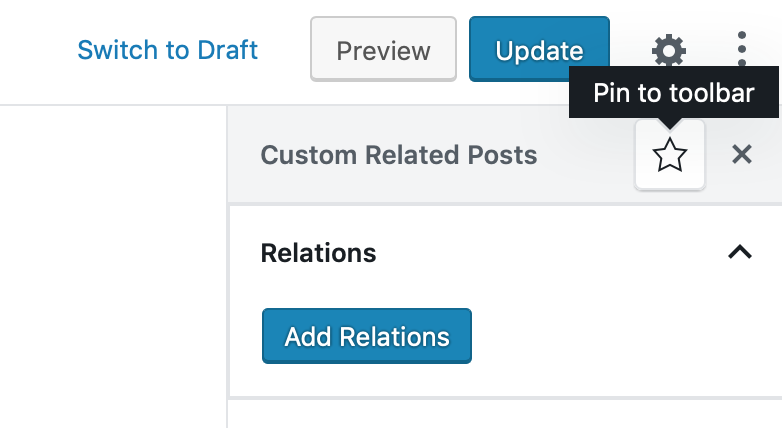 By default this is enabled for regular posts and pages, but it can be changed using the "Post Types" setting on the Settings > Custom Related Posts > General page. 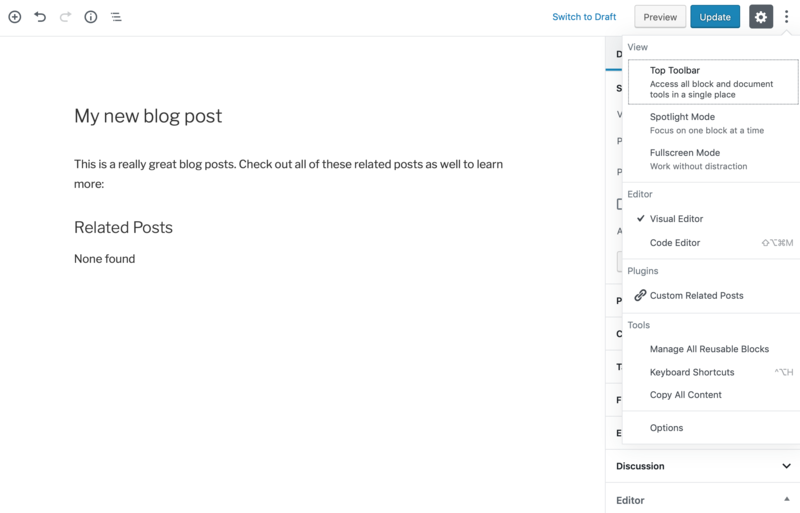 Click on Add Relations to open up the modal where you can start adding related posts. Use the search box to find posts and the buttons on the right to set them as related. You have full control over how the related posts should be linked: both to each other or only in 1 direction. Once finished you can close the modal. This sidebar will now show the related posts that have been set and allows you to delete them as well. Any Custom Related Posts blocks you might have in the content will also reflect the relations you set.